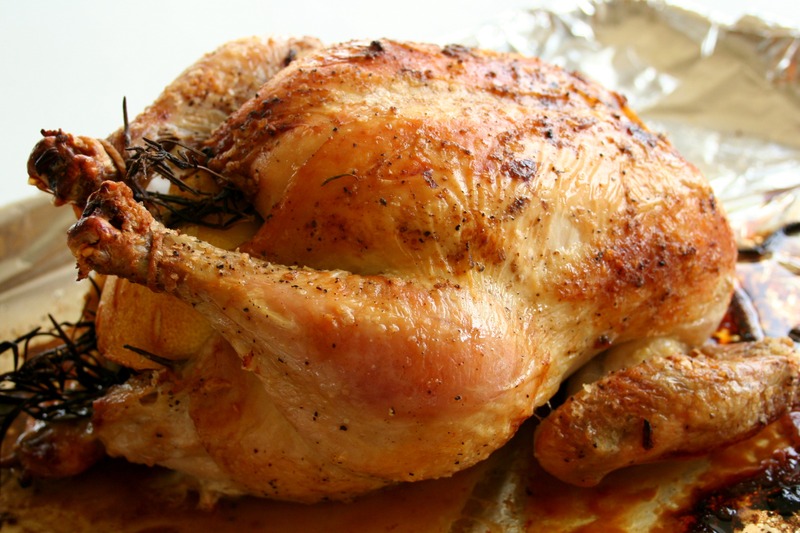 Quick Post: Is there anything more comforting than roasted chicken? The smell and flavor were amazing! I am really happy with how this turned out and I will make this again and again. After pulling the chicken of the bones, I placed the carcass in the freezer for more chicken stock later on – it’s liquid gold and worth making! Thanks for reading, enjoy! 1. Preheat your oven to 425 degrees. Line a baking sheet with foil and cut a piece of kitchen string (*it’s better a little long than too short). 2. Salt the cavity of the chicken and stuff with the onion, lemon, garlic and herbs – don’t be afraid to really pack these in there. Truss the chicken tightly. Drizzle grapeseed oil over the chicken and generously season the skin with kosher salt and pepper. Place a probe thermometer in the breast of the chicken, being careful not to hit bone. awesome looking roast chicken – I currently have a massive pot of stock cooking on my hob – I can’t wait to use it. Thanks 🙂 I look forward to seeing how you use your homemade stock!